Canadian winters can be enraging. They’re long and cold and the winter elements only add more frustration to the pile. Literally. Trying to navigate a vehicle through the winter months is enough to make even the most sane of us seriously consider hibernating until April. In a video posted to Reddit over the weekend, one man in Quebec can be seen taking out his winter frustration in the most Canadian way possible. 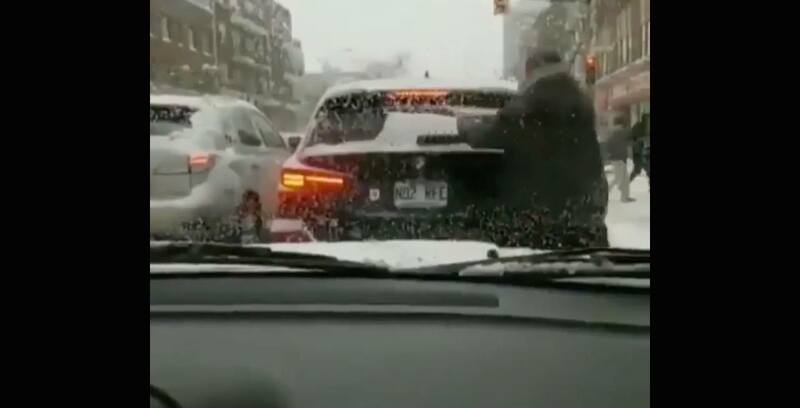 The video, titled “brutal Canadian road rage incident caught on camera” by user Raqped, shows a man (@lex_inker) exiting his car in Montreal to wipe the snow off of the vehicle in front of him at a red light. The man walks back to his car shaking his head in frustration. Seriously, why didn’t the beamer just use its rear-window wiper? The video has gobbled up over 120,000 upvotes and is making its rounds on other social media platforms. The good Samaritan wiper joins a Canadian police officer and a group of guys as the latest winter heroes who’ve been caught on camera coming helping out in the winter.